When I went to school, who was portrayed as the greatest genius of all time? Einstein. Who was the greatest inventor? Thomas Edison. The “education system” and media brainwashing system of the contrived matrix has convinced most people that these are indisputable facts. But are they? Have you heard of a man called Nicola Tesla? If you said no, you’re in good company. I find it very sad that most people have never heard of Tesla. So who was Nicola Tesla? Tesla was a Serbian genius who changed the world and whose achievements are unparalleled in the history of applied science. And yet, he is little known and many of his inventions have been hijacked by others. The reasons were political. 1. Alternating current. 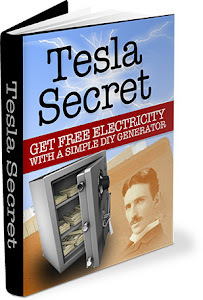 The electrical system that the whole world works on today was created by Tesla. Tesla discovered that by using alternating current (A/C power), electricity could be transported over long distances with practically zero loss of energy. Thomas Edison’s direct current “solution,” by contrast, failed miserably and was eventually abandoned due to the fact that it, well… kept burning down buildings! And yet, Edison became famous while Tesla was reduced to obscurity. As a matter of fact, the historical record shows that when Tesla arrived in the United States as an immigant, Thomas Edison did everything within his power to destroy Tesla’s chances of doing business in the United States and opposed him every chance he got. 2. Neon and florescent lights. Tesla not only created those lights, but he made them light up with no wires whatsoever, using energy that he injected into the air. 4. Radio. Tesla generated the first radio transmission. Not long after, the discovery of the radio was attributed to the now much more famous Marconi, who had great connections with the British aristocracy of the time. As it turns out, after Tesla’s death, Marconi’s “discovery” was overturned by the United States Supreme Court, because Marconi had violated several of Tesla’s patents. 5. Remote control. Tesla created the first remote control device. He controlled a small boat by remote control, to the astonishment of everybody who was there to see it. 6. The Tesla coil. This was a device that generated electricity and pumped it into the environment. It could be pumped into clouds, causing rain, or into the ionosphere. This technology was taken out by both the Soviet and United States militaries, and probably other countries as well. Tesla also left the blueprints for a particle beam, and that project has now been realized by several countries. 7. Bio-electricity and biophysics. Tesla showed that it was possible to use vibrations to kill viruses, cancer cells, bacteria and yeast cells through sympathetic vibrations, just as opera singers can break crystal glasses with the vibration of their voices. This idea was later taken up by a scientist named Royal Raymond Rife, who began to use it in a healing capacity. 8. Ozone. Tesla was the first man to create an ozone generator and inject the ozone into olive oil, in order to then use the olive oil for healing by oxygenation. This is a very basic introduction, and for me it’s a labor of love. Tesla’s achievements go way beyond the scope of this article, and I hope that you look him up yourself or get some documentaries about this great genius. I recommend the videos here and here. The life of Nicola Tesla is yet another example of how history can be manipulated by those in power. It’s a story of how a man who changed the world with his discoveries has been left out of the history books, out of the schools and out of the collective consciousness. It’s an example of what I call the contrived matrix. After all, there is no excuse. Tesla is the man who made it possible for us to have electricity in our homes. Tesla wired up entire cities. He transformed the way people live. To top it all off, he did everything he could to teach society how to create cheap and clean energy. Perhaps that’s why he was metaphorically buried while he was still alive and died poor, living in a hotel room. He threatened too many economic interests. Tesla had integrity. His aim was to improve the life of humanity and not his own lot in life. Nicola Tesla is a true inspiration.